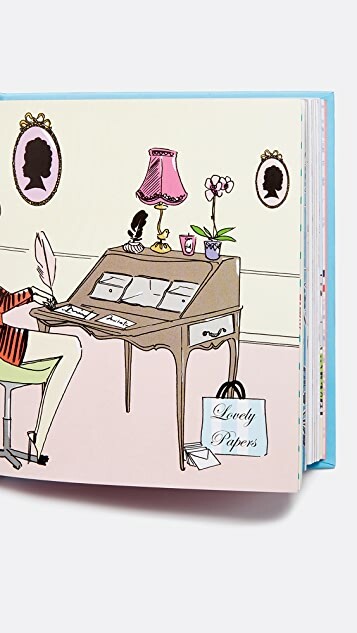 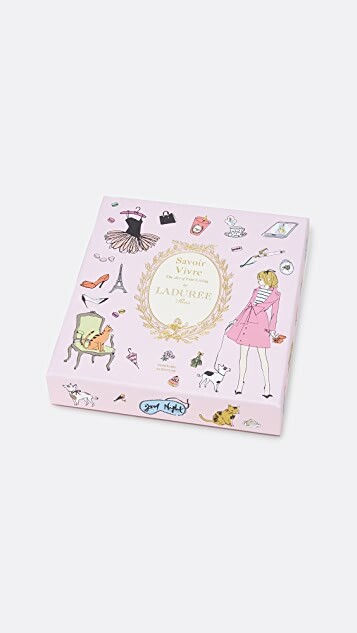 Ladurée Savoir Vivre is the latest in the company’s series of entertaining and lifestyle books. 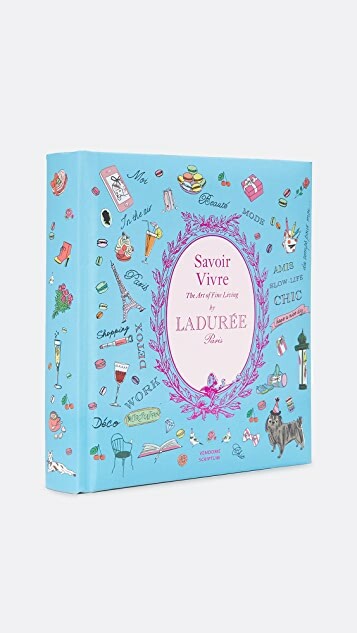 Like its predecessors, it is nestled in a hardbound box, packed just like Ladurée’s delectable confections. 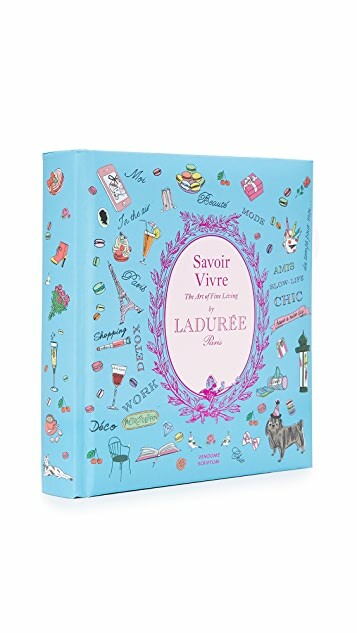 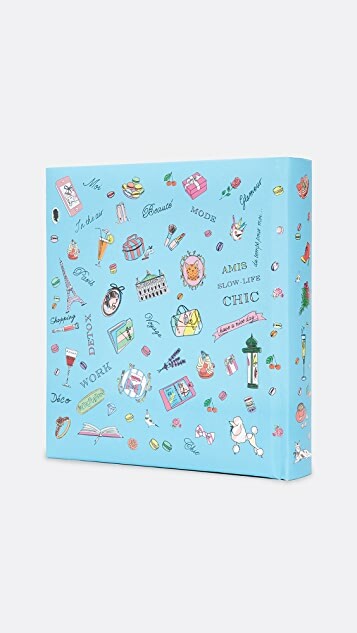 The book offers practical tips and inspiration on such varied topics as how to prepare and have breakfast the Ladurée way, how to be a good host and a good guest, how to dress for the theater, and how to pack for stylish travel.